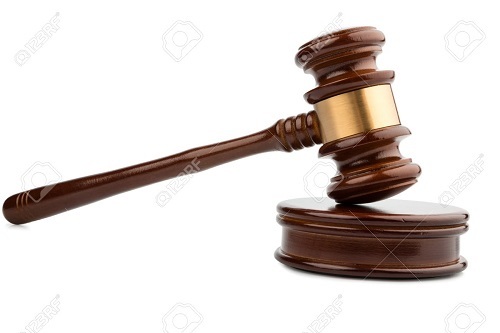 The High Court of Justice, Delta State in the Bomadi Judicial Division Holden in Bomadi, has ruled in favour of Okia Community in Burutu Local Government Area against Agge Community, Ekeremor Local Government Area in Bayelsa State, in a land dispute that lasted over decade. The settlement is contained in a judgement delivered in Suit Number: HCB/13/2004 by the Court and was in favour of Okia Community, coming after several years of delay, adjournments and trials. The Claimants had approached the Court wherein they sought four reliefs against the Defendants. The Claimants, Messrs Pius Gbeneyi, Christopher Dove and Francis Akara, for themselves and on behalf of Okia Community in Burutu Local Government Area, Delta State, had dragged William Isiayei, Mt. Monday Lugbenwei, Mr. Okuku Imole Wurutuawei, for themselves and on behalf of Agge Community in Ekeremor Local Government Local Government Area, Bayelsa State to court over land tussle. They claimed that the defendants were laying claim to the land as well as seeking to take benefits due to Okia Community from Shell Petroleum Development Company, SPDC. The Claimant's through their Counsel, Nnamdi Ugwuka tendered a Plan with No. PP/DT/2K4/03. In their reliefs, the Community prayed the Court for. "A declaration of Statutory right of occupancy to that piece or parcel of land, which is lying, being and situate at Okia Community in Burutu Local Government Area of Delta State of Nigeria. An order of Perpetual Injunction restraining the Defendants from dealing with SPDC and/or Sterling in any manner whatsoever, including the implementation of the Integrated Pipeline Surveillance Scheme(IPSS) in relation to the Claimant's aforesaid Community land situate at Okia Community, Burutu Local Government Area of Delta State. A declaration that the Claimant's Community being the rightful and bona-fide owner and in possession of the said Okia Community land, host to the aforesaid facilities belonging to the SPDC is the Community rightfully entitled to be considered by the SPDC for the implementation of the Integrated Pipeline Surveillance Scheme(IPSS) for host Communities especially on Okia Community land or any other contract which may be conceived by SPDC and/or Sterling or any other company whatsoever for host Community. A Perpetual Injunction restraining the Defendants by themselves, their servants, agents, privies, workmen or whosoever from interfering or disturbing the Claimant's right and title to peaceful possession and occupation of the said piece or parcel land situate at Okia Community or preventing or denying the Claimants of the right of reaping the benefits accruing to their Community as host to the SPDC facilities and/or Sterling or any other company and whatsoever facilities located on the Claimant's Okia Community land in Burutu Local Government Area of Delta State." On their part, the Defendant argued the matter challenging them to prove their claims and title to the land in dispute amongst others. Larry Ovwromoh Esq and V.A. Umukoro Esq represented the Defendants, Messrs Williams Isiayei, Monday Lugbenwei and Okuku Imole Wurutuawei were representatives of Agge Community in Ekeremor LGA in Bayelsa State in Court. Delivering judgement, the Court presided over by His Lordship, Hon. Justice. Michael Nduka Obi said," I have given due consideration to the evidence of Claimant's witnesses; the traditional history of the claimants was only challenged to the extent that the land in dispute formed part of Okibou land. Haven found that the Defendants failed to discharge the burden of proof in establishing that the land being claimed forms part of Okibou land, this Court believes the evidence of the 1st Claimant on the traditional history of the claimants as well as right of ownership exercised on the land in dispute. I find that the evidence of traditional history was conclusive in proof of their ownership of the land in dispute and the Court so holds. I resolve these issues in favour of the Claimants. Flowing from what I have heard above, I hereby declare that the Claimants are entitled to Statutory Right of occupancy to that piece or parcel of land known and called Okia Community land which land is lying, being and situate at Okia Community in Burutu Local Government Area of Delta State of Nigeria”.